Anthony Bourdain’s ‘Parts Unknown’ came to Seattle: What did you think of the episode? Famed food TV personality Anthony Bourdain ate around Seattle and checked out our tech culture and weed scene for his CNN series ‘Parts Unknown.’ So, did he get it right? Did he get us right? Was he too harsh on “tech bros”? Inquiring minds want to know. Drop us a line in the comments below. Days leading up to the airing of the Seattle episode of “Parts Unknown,” dozens of readers were disappointed or underwhelmed by Anthony Bourdain’s dining and imbibing choices around town. Where would you have sent him? Also, a couple of viewers wanted to know the name of the Mark Lanegan song that played in the closing minutes, an homage to the film “Magnolia.” That Lanegan song was Strange Religion. 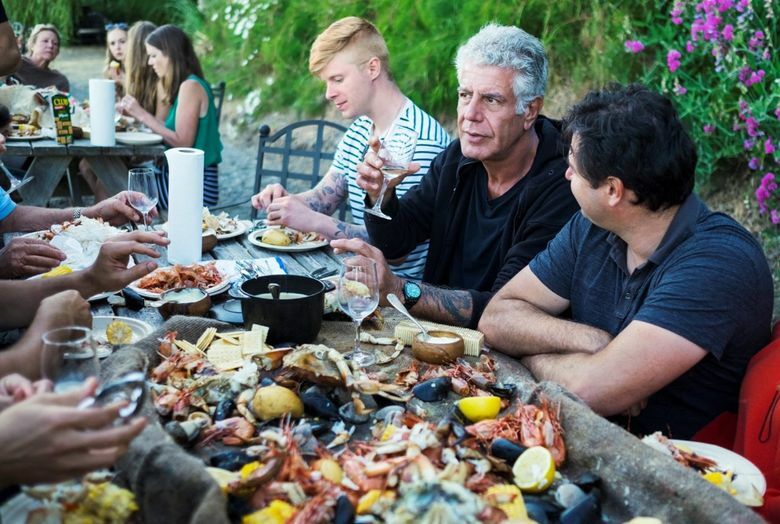 To watch clips from the Seattle episode, visit Bourdain’s “Parts Unknown” website.